New Iwireless items have arrived to the store. 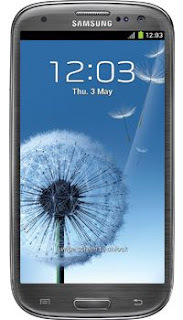 Now in stock the Samsung Galaxy SIII. Stop into the store for more information. 1) Monitors positioned at eye level allow you to work longer and with less fatigue. Keyboards positioned so your arms are parallel to the ground (and not resting on the edge of the desk) ensure proper blood flow to your wrist and hands. 2) Lighting. A mixture of fluorescent and incandescent lighting along with natural sunlight helps avoid eye fatigue and will keep you more productive. 3) Computer chair. A chair with wheels positioned on a solid floor (or carpet protector) enables you to position your chair properly when working at the computer, and also enables you to get in and out of your chair comfortably. 4) Ergonomic keyboard. An ergonomic keyboard shaped to fit your natural arm positions can help prevent wrist injuries.